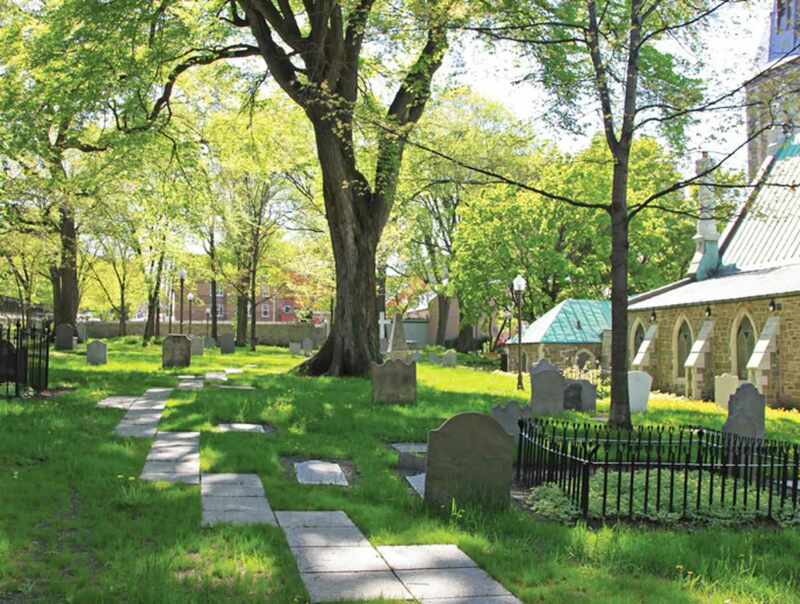 An estimated 6000 to 10,000 people of the Anglican and Presbyterian faiths were buried in this cemetery between 1772 and 1860. As in most cemeteries from that period, the majority of the deceased were buried in unmarked graves, though there are still 314 tombstones in the cemetery bearing 518 inscriptions. You can take a self-guided app tour of the cemetery. The tour was recorded in English and French by historian David Mendel, who relates the history of the site through his touching description of the tombstones and the people interred in the cemetery. Hours: open daily, May 1 to November 15, 7 a.m. to 8 p.m.